Whether you have played a course 20+ times a year or looking to play the course for the first time, insights from an insider can help enhance your golf experience. 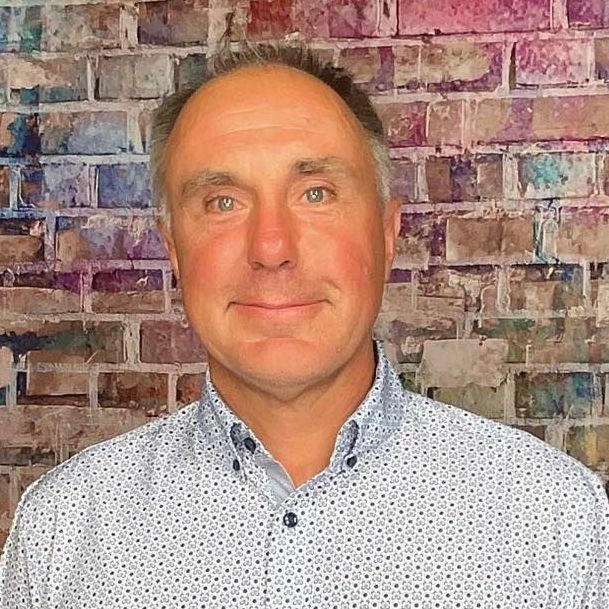 Below is an interview with John Ruddo who shares some valuable tidbits about the course, memorable holes and must eats and treats at the 19th. 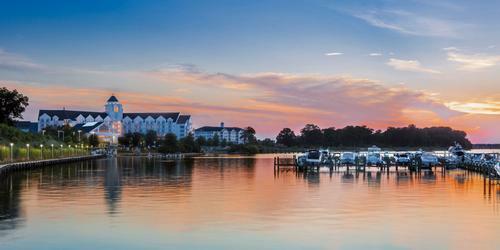 The Links at Lighthouse Sound is an Arthur Hills design in Bishopville, MD, just one mile west of Ocean City. Open since 2000, this exquisite championship course offers a unique blend of modern, classical, and links style golf. The layout features marsh, river, and bay on 15 of 18 holes throughout a 1000 acre site. One item that sets our course apart is our 1500 foot cart bridge between our eighth and ninth holes, the longest cart bridge in the United States. In addition to a diverse, thoughtful layout along with impeccable course conditioning, Lighthouse Sound provides scenic views with plenty of variety. 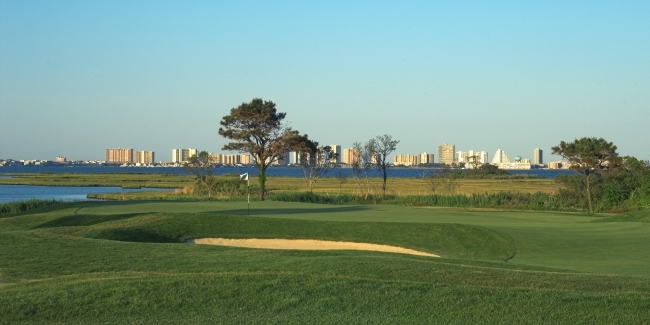 The course is nestled between the Assawoman Bay and the St. Martin's River, with some holes bordered by pristine tidal marsh and others framed by mature hardwoods. 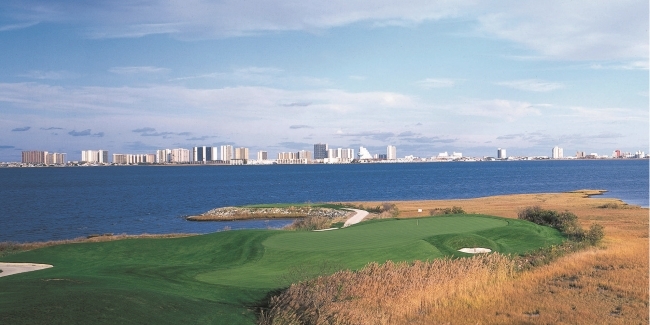 Many holes feature expansive views of the Ocean City skyline. This course will test your decision-making and your ability to play in the wind. The course is known for its risk/reward layout, and the ever-present windy conditions. Remember to "swing easy when it's breezy." Golf Magazine has named The Links at Lighthouse Sound #80 on their most recent edition of the "Top 100 Courses You Can Play" in the United States. On their most recent best in state list, we were named #2. Our beautiful signature hole is our fifth, "Hills Passage." 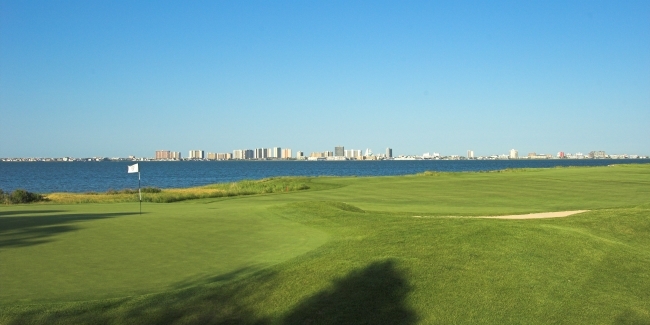 A challenging par 3 with a peninsula green, this hole borders the Assawoman Bay and the stunning Ocean City skyline. The wind is a prominent factor on this hole, and on a given day it has the potential to require you to hit any club in your bag off the tee depending on the conditions. My favorite hole here is the sixth. 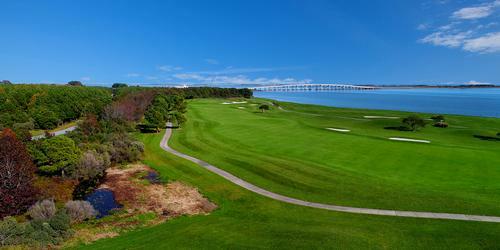 This unique par 4 begins on an island tee box that reaches out into the bay, accessible by an oyster shell walkway. You want to be sure to favor the left side of the fairway due to water on the right. All around, it is a fun and striking golf hole. We have plenty of great options in the clubhouse. Our most popular lunch option is the Tuscan Chicken sandwich, and there are many fine dining options are available in the evening. You also can't go wrong with the classic Ocean City cocktail, the Orange Crush. Our dining room features a panoramic view that is unmatched in Ocean City, and there is a fantastic stone patio for anyone who wants to eat outside. Our patio also features a newly built fire pit for those cool spring and fall days. The course record is 62, held by Ryan MacDonald. On June 28, 2007, he shot a 30 on the front nine and a 32 on the back nine without a score on any hole higher than a 4.